Shooting is something that we love to do. It’s like our passion! We do it for fun and relaxation. We also enjoy challenging each other. Now the fun starts when we shoot as long as we can! When you shoot from a reasonable distance, but still we hit the target, how does it feel? We know, it feels fantastic. While being a shooting enthusiast and also keeping your eye on your pocket, you might be thinking of having a 1000 yard scope on a budget. For doing it more often, you need a scope, and it’s where the problem starts. As a beginner, it’s very tough to choose from the thousands of available product on the market. That’s where we come in! By the way, we hope you already have best long range rifles for practicing more! If you don’t have one and check this article and after reading that, you can continue from here. 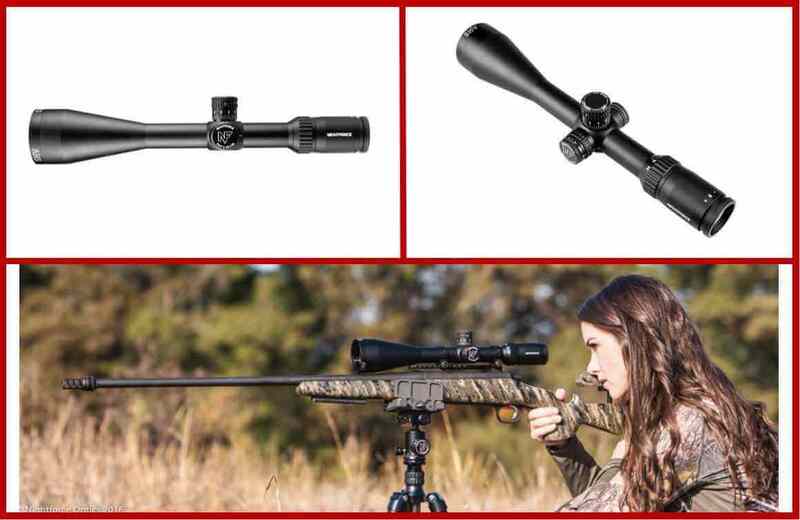 Now, from our experience, we decided to recommend you four best scopes which are best for thousand yards. So, without further due, let’s get started! Shall we? In this competitive industry, we see many brands and their products. 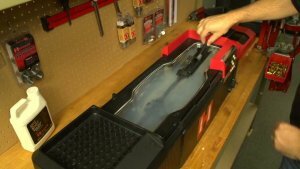 In the crowd of thousands of scopes when it comes to something affordable within a reasonable price, one brand name comes ahead which is Vortex. That’s why our first recommendation is Vortex Optics Viper HS-T. It is the 6-24×50 and VMR-1 Moa. It has many features to offer us! So, let’s dig into it! It’s available in four sizes. So you can select according to your need. We choose optic vortex Viper HS-T 6-24×50 which is incredible. The reticle works correctly even at long range, and it also gives the perfect hold. It has a turret which is made for finger-adjustable clicks. A CRS zero stop allows it to take it down to the zero after raise correction. 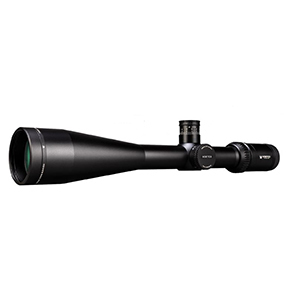 The scope has a premium lens with XR coating and extra-dispersal lens which provides color reliability. For protecting the glass, it has an Armortek coating, and the XR coating helps to increase the light gathering capability. So, you can guess the quality of the lens. It has a 4x zoom and focuses parallax adjustment system on the side. The fast focus eyepiece of the scope allows you to adjust the reticle. It’s also waterproof and fog proof. So, you can use it in the winter morning too. Perfect for Hunting, Tactical application and target shooting. Premium and crystal clear glass lens. Best for the fast target. For newbies, it’s quite expensive. However the quality worth it. For aiming and for reaching the aim, the scope plays a vital role. Now if you want to shoot like a pro even in low light then go for it. When a newbie asks us to recommend a rifle scope within low cost for learning the first brand name comes in our mind is, Mueller. You know what? Even their motto is ‘low-cost alternatives.’ So, you’re getting the decent quality product within the very low price. However, it isn’t that cheap eve they’re maintaining good quality from the past several years. 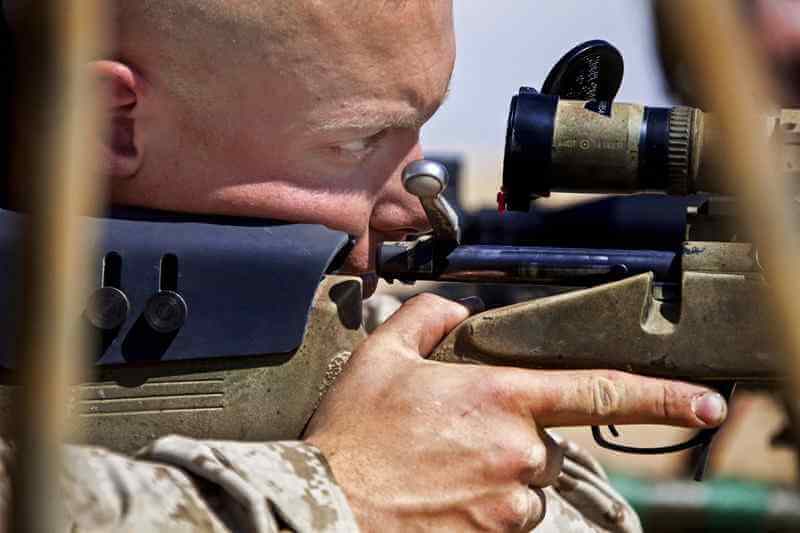 For a reason, we’re recommending you Mueller’s target rifle scope. It’s a basic looking but works beautiful kind of scope. Now one more thing, the body of the scope may seem cheap, but they provide a high-end quality lens, so if you’re looking for something that is best for learning, then it’s perfect for you. So, let’s see the features of it! 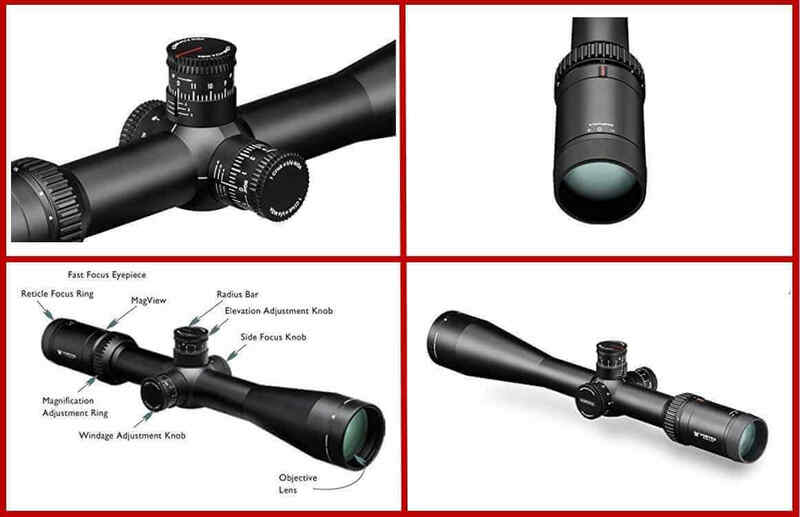 It is available in Black color, and it has 8-32x44mm magnification and an objective lens. Its size of it is 30 millimeter in tube size. 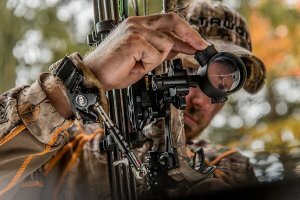 The scope has fast-focus eyepiece feature, so you can easily adjust it with your eye. Magnification level of this scope starts at 8 and ends at 32 power which is enough. It provides a fantastic sight picture. For aiming in 1000 yards, it’s enough. The objective lens of it is, 44mm which is adjustable. While shooting in 100 yards, you may get 40 inches lens performance. Mountable in large caliber rifles. It also has the eye relief of 4 inches which will be safe for your shooting eye from massive and dangerous shrinking. The Mueller’s target rifle scope also has adjustable target turret, target crosshair with a target dot which will provide a clear view of the target at long range. You have adjusted parallax every time to get accuracy. Not that useful in shorter ranges. As we said before if you are a beginner and getting your first scope also you don’t have that much budget then go for it. One more thing, don’t expect too much from it L if you take good care of it, it’ll give the best performance for years. Are you looking for a professional quality rifle scope? If you have a high budget for a high-end product, then you’ll get the best quality for sure. If you’re ready to spend $$$$ behind a scope, then we’ve something for you. 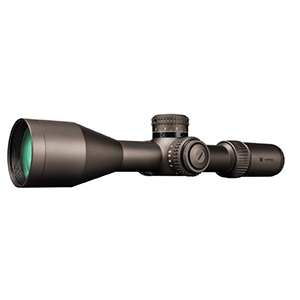 It is Vortex Optics Razor HD Gen II which is a top-notch long range professional scope. It’s one of the most expensive and best products in the market. As we said before about Vortex Optics, they provide the best within a reasonable price. At first, we also thought it’s just an overpriced fancy scope. After using it, we found how wrong we were. We think you should also know about the features of it. It’s available in five options. However, we picked 4.5-27×56 one. It’s the most popular model. With all other models, you’ll only see the difference in magnification and objective lens power. It’s known as deadly accurate for its accuracy. The Razor HD is best for advanced accuracy shooting and strategic operations. The EBR -2C MRAD reticle ensures subtensions to stay accurate. As it is built for the long-range shot, the turret system of it has a mechanical locking feature which prevents all kind of accidental raise adjustments. It has a visual rotation indicator which helps the shooter to check the track of the uprisings on the turret easily. 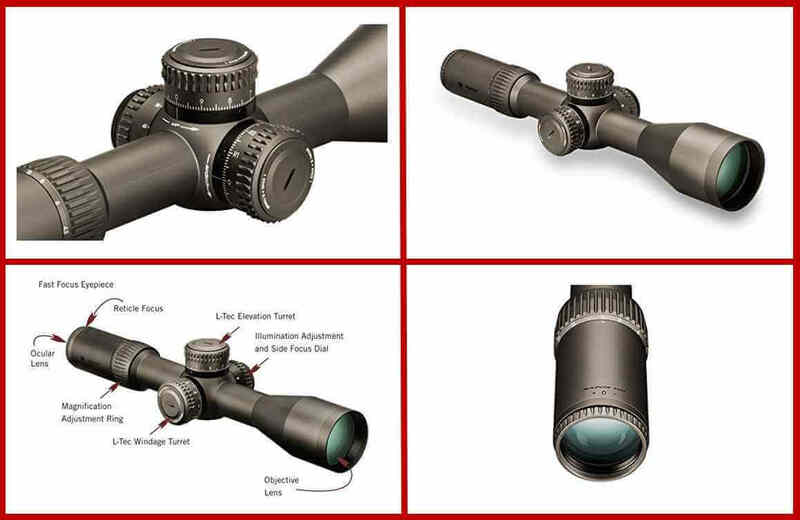 It has a 6x zoom range that provides magnification reflectiveness, and within the time, the fast focus eyepiece fixes the reticle for sharp focus. The Razor HD Gen 2 gives stunning image quality experience through its APO optical system. The lens glass is a premium and high-density with extra-low spreading glass. So, it’ll provide stunning light for incredible brightness. The body of it is waterproof and fog proof because it is o ring sealed and argon expelled. The Armortek coating of it protect the lenses. If you have enough money to afford it, then get it. No matter if you’re a beginner or professional. It won’t disappoint you. Also, it’s a good investment because it’ll last you for a long time. Are you looking for a rough and tough and a riflescope which is best for hunting? If all these go with you, then we have got a perfect solution for you. It is NightForce’s SHV 5-20x 56mm which is one of the most durable long range scopes that definitely justifies the price range. NightForce is a popular brand. They’re mostly known for their high-quality scope. So, let’s see what it has to offer us! It’s a two-time award-winning product for its high-end quality and decent price. The eye relief of it offers you to keep your eye 3.15 to 3.54 inches away. It’s enough for keeping your eye safe. The scope is made with single 30mm aircraft grade aluminum tube, so it’s very durable. The NightForce SHV is waterproof and shockproof. It has ZERO SET feature which will set your scope back to zero after some elevation adjustment. The scope has a powerful and big objective lens of 56mm. So, you can see your target more closely because it shows your destination into superior brightness. It offers you awesome magnification power with parallax adjustment. So, you can set from 25 yards to infinity! If you want to invest in a high-quality riflescope for once, then go for it. You won’t regret. You know, shooting is like an addiction. People get addicted to doing it. Honestly, even we’re addicted to it. In holidays, our friends and we love to do shooting for fun! We challenge each other for a thousand-yard shooting competition, and we fun it is. The main obsession starts when you start hitting the targets and fun and excitement begins! When it comes to a scope, a lens is the most important thing. As it’s a long-range scope, it has to be sharp and clean. If the lens of the scope can’t produce a good and clear view, then it’s a no deal! Expert says a 1000 yard scope has to have at least 10x magnification. If you are a pro or if you need more accuracy we recommend you to have a scope with 18x magnification. Always try to get something that’s easy to adjust. Adjust it according to your need and also judge the wind condition. Don’t go for those kinds of scopes which are tough to adjust. For better viewing, you need a scope lens that has a 50-56 mm objective lens. A 50-56mm objective lens can give you more lights so you’ll get a better view. We prefer a scope that has a Mil-Dot reticle system because it has the best adjustability. The reticle system of it will help the adjustment, and the turret is going to adjust. 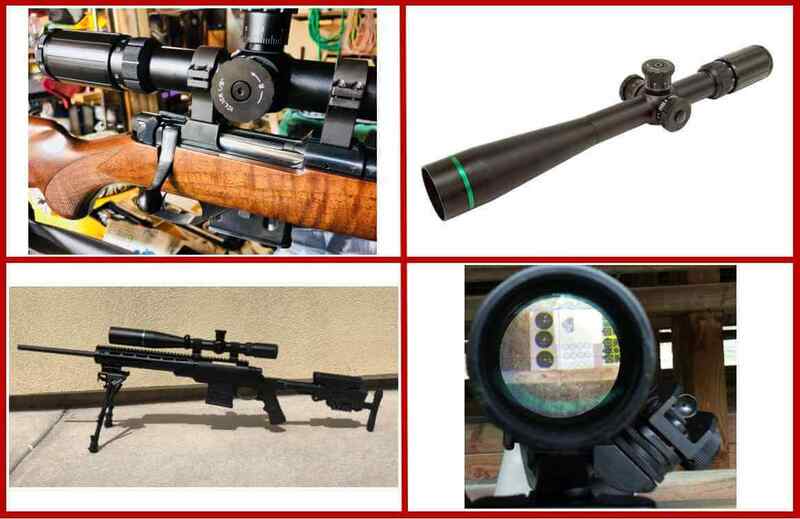 If you badly need the best scope for your rifle, you’ve to consider all these points. For shooting practice or for serious tactical operation, a scope is something that you’ll always need. That’s why we recommend you to save some bucks and invest in these 1000 yard scope on a budget which will last for a long time. So, without wasting time and money, get your best riflescope from our recommendation and don’t forget to let us know how the article was! One more thing, if you have any queries, please ask below in the comment section.